Look at the pictures of my cute little kittie. I don't find Laser sailing exciting enough any more so I am going to sell my Laser and buy a Force 5. Thank you Jesus for making me so awesome. Look at the pictures of my cute little doggie. As expected, this weekend I won the New England Laser Masters/ Buzzards Bay Regatta/ Hyannis Regatta. I didn't write anything on the blog last week because my cute little kittie puked all over my computer and ruined the keyboard. This weekend I ran a marathon in 2:30. Today was a perfect day for sailing but I preferred to stay inside and watch football on the TV. I really miss George Bush. Please don't leave any comments on this post. It's already perfect and you couldn't possibly add anything else of interest. So You Want to Start a Sailing Blog? [Another local sailing dude] recently turned me on to Proper Course, which I have been reading diligently to catch up on lost years. It's very entertaining, and sometimes insightful, and I think you are a terrific writer! As a former English teacher this compliment should carry some hefty weight. Note the exclamation point. I have been talking to [the other sailing dude] about starting a blog to discuss our experiences, express enthusiasm for sailing, and rant against the local Killjoys who thwart, rather than promote out efforts. Have you any advice in a nutshell? How do you get any readers as you project out into the universe? It seems like beaming a message to Alpha Centauri, reporting on how things are going here on earth. How could I resist a request like that? 1. Use Blogger. It's easy and it's free. Some people will give you the opposite advice and tell you that if you use Blogger you are placing yourself at the mercy of the big bad evil Google empire, or that you won't be able to have the snazziest sharpest blog design, or that you can't customize it, or that it's not cool. Whatever. I like easy and free. 2. Participate in the sailing blogging community. One thing non-bloggers often don't understand is that bloggers are (usually) not lonely nerds living in their parents' basements beaming messages to Alpha Centauri that nobody will ever read. The way to help people find your sailing blog is to interact with other sailing bloggers. Leave interesting comments on other sailing blogs (using your ID that links back to your own blog of course). Respond positively to any folk that leave comments on your blog. Place links to other blogs that you like on your own blog; with a bit of luck the writers of those other blogs will reciprocate. Participate in those group writing projects that some blogs (like this one) run from time to time. After a while the readers of those other sailing blogs will start reading yours too. 3. Be yourself. Let your own personality shine through in your blog. Express opinions. Rant. Do something different from the herd. There are about a million new blog posts written every day, so you had better give folk a reason to want to keep coming back to read your posts. 4. Write regularly. If you want readers to keep coming back, then you don't want to be one of those bloggers who writes every day for a few weeks and then goes silent for three months. I've not been very good at following this advice myself the last few weeks. But there are several well-known ways to overcome the dreaded "bloggers block", one of which is to answer a reader's question. Hmmm. 5. Encourage readers to give you feedback. Ask questions such as, "Does anybody else have any different advice to someone who wants to start a sailing blog?" Seriously, do you? Regular readers of this blog -- that is to say Tim, Tim and that guy in Belarus -- will remember that back in June 2007 I wrote a rant about Mommy Boats, the increasingly common practice of having swarms of so-called "coach boats" buzzing around at every sailing regatta to mother the poor little sailors who aren't able to race all day without their mommy boats to help them. Later that year, Mommy Boats was a hot topic both on Sailing Anarchy and the Laser Forum, and I wrote about that in Mommy Boats Redux. Now, at last, there is some action. The Star class has voted to adopt a new rule which prohibits all contacts between athletes and coaches after leaving the harbour till the end of the last day race of the day. Good for them. I wonder if other classes will follow suit and ban these dratted Mommy Boats too. Then in October of last year I wrote about the Bottleport, Greg Little's fantastically clever device for carrying a drink bottle on small boats, so perfectly suited for the purpose that it's amazing nobody has thought if it before. Not so fast Greg. Some dude in Australia decided to ask the Big Chief Imperial Measurer of the Galactic Laser Class if the Bottleport is legal under Laser class rules. And the aforementioned BCIMGLC rendered his judgment that it is not legal. Oops. The Laser Forum has been buzzing today with reaction to the ruling of the BCIMGLC focusing on the usual rules minutiae such as "what is the definition of a cover?" and "just because the rules say you may store stuff under a cover does that mean you can't store stuff inside a cover?" Great stuff. But the amusing thing for me is that this discussion is proceeding in a forum thread that Greg (the inventor) started which is titled Bottleport reviewed by Tillerman. So all the rules freaks and sea lawyers are clicking over here to see who the hell this Tillerman dude is and whether he has any views on such vital topics as "what is the meaning of bag?" As a small token of appreciation to our clients, North Sails is offering a FREE NORTH RACER HAT to those who finished in the top three in ANY regatta in North America during 2008! Simply find your name on our online Victory List (please send us your name if we missed you) and register for your free North Sails Racer Hat! One hat per customer, please. Offer available in North America only and expires April 1, 2009. If you don't currently race with North sails, check out this list & you might change your mind...! Hmmm. I went to check out the list at http://na.northsails.com/NewsEvents/VictoryList2008/tabid/8871/Default.aspx. Whaaat? As far as I can see there's not a single Laser regatta on the list, and even more amazingly they haven't even included my stunning victory in the Lake Whippersnapper First Annual Sunfish/Laser Regatta. How dare they? Don't they know who I am? This is particularly ironic as every Laser sailor in North America is essentially forced to use sails from North in official regattas (unless you want to import an even more expensive but identical sail made by Hyde.) And they don't even include Laser regattas on their frigging list. Well we can soon fix that. There's a form on the North website to add yourself to the victory list. Looks like you can add yourself to the list if you came first, second or third in any regatta in North America last year. So if you qualify I suggest you add yourself to the list too, even if it's only for the world-famous speed run from slip J106 to the breakwater. A couple of weeks ago I started using Facebook to see if it's any use for old farts like me. My sons and their ladies had been using it for a while and so I was wondering what I was missing. When I asked them why they used it they said it was the main way they keep in touch with their old high school and college friends. Hmmm. Even supposing that I actually wanted to re-establish contact with those annoying people that I knew at school and university, they are all part of the baby boomer generation, a.k.a. old farts, so I suspect most of them don't use the Bookface anyway. I mean, if a smart, hip, IT savvy dude like me doesn't use it yet there's no chance for them others. But occasionally I would receive an email, usually from another blogger, asking me to be their "friend" on Facebook. And I had actually responded in the past and had somehow accumulated a couple of IDs on the Facebook Machine, one as Tillerman Tillerman (don't ask) and one under my real name. But until a couple of weeks ago I had never really looked at the Book of Faces. So I went on to The Facebook and started looking around. What is it for? Why should I use it? Is it any use? I soon found several ex-colleagues from work, some family members, and various random people that I had sailed with. I invited them to be my "friends" and I was up and running. I joined some groups and a network or two. These seemed particularly pointless exercises. It was really quite depressing to find out that "there are 19,603 people in the Newport, RI network" and that NOT ONE of them is my "friend". Bummer. What a loser I am. But what is a "friend"? In Facebook it seems you can ask anyone to be a "friend" and indeed the Facebook Machine even suggests people I might like to make my friends. These are people I might have heard of... cousins of my son's in-laws, folk who know people who know people I have sailed with... But I resisted the temptation to go around grabbing friends willy nilly. Basically I applied the "would this person recognize me if they saw me in the street and if so would I admit that I knew them?" test. But maybe I'm doing this wrong. A few days later I read that some of the candidates for chair of the Republican National Committee were competing for that coveted and prestigious post by boasting about how many Friends on Facebook each of them had, and/or how many Twits they had on Twitter. (I may have got that last bit wrong. I don't Tweet. At least not yet.) "Nah, nah, nah, nah I've got 40,000 friends on the Facebook Machine so vote for me." Yeah, right. When he was a little whippersnapper, my younger son had an imaginary friend called Flash. We often had long chats about Flash, what Flash was doing today, where Flash was, what Flash looked like etc. etc. Facebook is a bit like that. All these imaginary friends whom you barely know tell you the most mundane details of their lives and show you embarrassing photos of their other imaginary friends. It's amazing. And strangely addictive. It was good to connect with people I had lost touch with years ago. Most of the people I worked with seem to have gone on to lead rewarding, challenging lives... competing in Olympic triathlons, climbing in the Himalayas, starting their own companies, becoming VPs of cool-sounding business. Makes me feel quite inadequate. Of course they could all be lying through their teeth. I haven't quite worked out the etiquette about lying on the Facebook yet. I was able to share photos with various family members and have a good laugh about how different everyone looked thirty years ago. That was good. But I am still wondering, "what's the point?" Apart from distracting me from doing any blogging for a couple of weeks, how is thing going to make my life better? On the other hand, perhaps preventing me from blogging for two weeks has already made the world a better place. I guess I'm starting to see some benefits. One of my new "friends" (in truth someone I have never met in real life, whom I didn't even know existed before) and I did have a long on-line chat about some news relating to my old employer that was vaguely interesting. And when I mentioned on the Bookface that I was planning a sailing trip in March, one of my Bookface sailing "friends" inquired about it and is actually going to join us for part of the adventure. So that's good too. Now, if you will excuse me, I have to go and write on a wall. I asked sailing bloggers to look through their archives and to each select their best post of 2008. The additional challenge was to complete the sentence "this post is simply the best because…" in 30 words or less. 15 bloggers responded to my request. Thanks to all and especially to the ones participating on one of these group writing projects for the first time. Once again you have blown me away with your creativity and the variety of different ways in which you write about sailing and related subjects. This post is simply the best because it connects us to the past, draws attention to important but little-known boat-related information, was the development of a series and showed intheboatshed.net readers contributing from across the world. from Gavin Atkin at intheboatshed.net. This post is simply the best because it is the beginning of something special, and I enjoy the start of something huge. from Captain John at Ayala Sandbox. 3. A Peak Experience with Team Zorro, parts 1, 2, and 3. This post is simply the best because it captures the complete elation that comes from sailing well, with a wonderfully coordinated crew and a fantastic skipper. It makes me happy every time I reread it and remember. from Carol Anne at Five O'Clock Somewhere. This post is simply the best because because it's the first blog entry I've actually tried to make interesting. from Adam Johnston at Scarlette, the adventures of a 24-foot sailboat in Okinawa, Japan. This post is simply the best because…it generated the most response. I usually do not get many comments, this post, got me called an idiot, wise, and a large amount of flack in the real world for me. from Zen at Zensekai ll By Sea. This post is simply the best because it makes me smile. from Edward at EVK4 SuperBlog. The path to find this story is slightly convoluted as Andrew has moved his blog. Just follow the instructions. 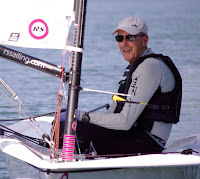 This post is simply the best because I'm going to be out there on Sunday mornings and Wednesday evenings in my old Laser, surrounded by old Laser sailors, doing what I have rediscovered to be the one thing I enjoy doing most of all. by Andrew Sadler of Sadler Bootwerk. This post is simply the best because it reminds me how ridiculous a day of windsurfing (for me) can be. by Michael at The Peconic Puffin. This post was simply the best because you'll find it all in this post: damsels in distress, river rescue swimmers, fishermen, helicopter command centers, swashbuckling firemen, and some sailing. by Greg and Kris of Love & Coconuts. 10. Hooray for Team La Vita! by Christy of Central Air. 11.Ulua progress: off the molds! This post is simply the best because it demonstrates the most significant achieved milestone in the Ulua canoe-building project, and has a great pic my girls and the hull off the molds. by David of Never Sea Land. This post is simply the best because of the variety of elements that fit into it and make it an interesting story; from meeting a fellow Enty to walking the decks of a warship, admiring a vintage Hornet, snapping some shots of the racing and just spending a day out with my eldest daughter doing nothing in particular, just messing about with boats. by Tim of All Day I Dream About Sailing. This post is simply the best because it appeals to our inner Sherlock Holmes. Or at least it shows what some boat builders think about while they’re building. Oh, and it was fun to write. by Tom of the Museum of Yachting in Newport Cherokee Blog. by Peter A. Mello of Sea Fever Blog. This post was simply the best because it featured two exquisite small, light displacement boats, one of which, I feel sure, influenced the other. Both great achievers, both by brilliant designers. by Thomas Armstrong of 70.8%. 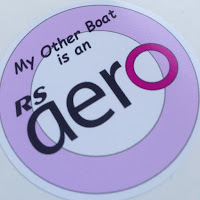 This post is simply the best because it combines the three underlying themes of my blog... bad sailing, humor and an expression of my passion for the sport. This post is simply the best because the events of the day and the characters involved inspired me and, as ever, my wife comes out of this as my greatest source of inspiration. by Adam Turinas of Messing About in Sailboats. Update 3 Jan 2009: One more that I missed before. Mea culpa. These posts are Simply the Best because they were always a lot of fun to write and I haven't seen other sailing fictional posts out there so feel I am actually bringing something new to the community. The top three were sailing and US election related. They say the heart of a good story are the combination of great characters and plot, and boy did the election have both. You really really couldn't have made it up. As to which is the best, that's hard! by Captain JP of Captain JP's Log.